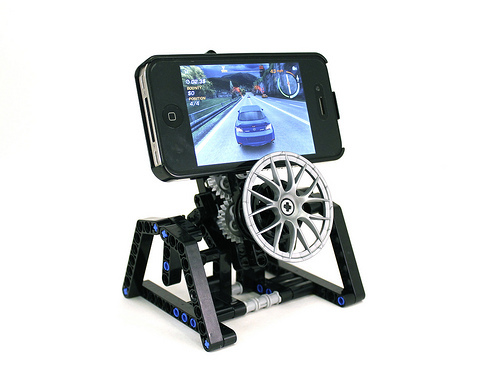 iPhone Gaming Stand by Cam M.
Cam M. built himself a nifty little stand to hold his iPhone so that he can actually steer while playing car racing games. 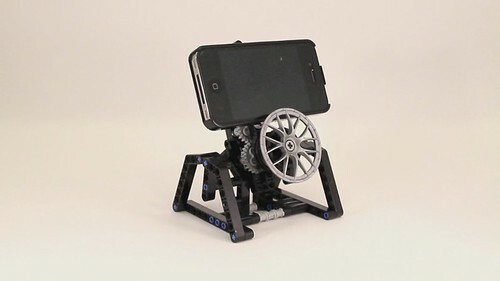 Cam utilized a Smallworks Brickcase to attach the phone, but it would still be possible to do something like this without such a case. I think I may have just found myself a project for this weekend. 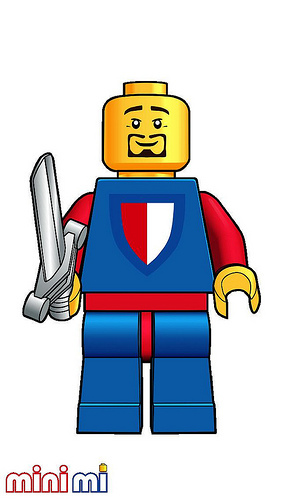 Ever wanted a native iPhone experience for browsing LEGO news and creations on The Brothers Brick? Well, now there’s an app for that. 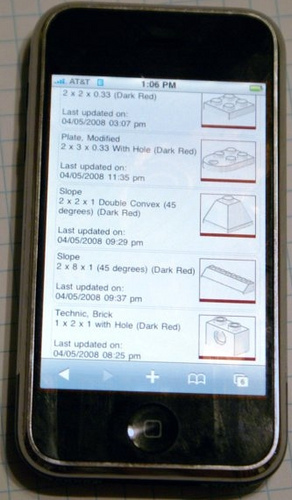 The Bricking News app — developed by FBTB’s Ace Kim — lets you access FBTB, Eurobricks, Brickset, and The Brothers Brick, along with an easier way to view LEGO pictures on Flickr. Check out Bricking News in the iTunes App Store, and download it for just 99 cents. 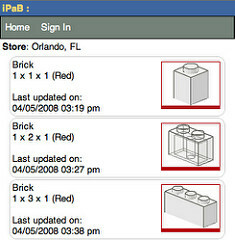 Michael Huffman, creator of the wonderful LEGO image aggregation site BrickBuildr, has just announced the release of an online tool for the Apple iPhone to check the inventory of your local LEGO Store’s Pick-a-Brick wall. 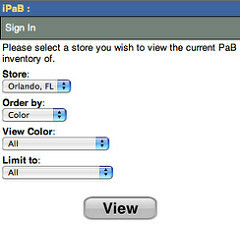 Using iPick-a-Brick, you can select an order in which to display your results and you can filter by either color or part type. The inventory is currently limited to the Orlando store, but additional stores will become available as people throughout the country begin contributing information. If you’d like to contribute data to this project, please contact Mike using the contact info in his LUGNET post.